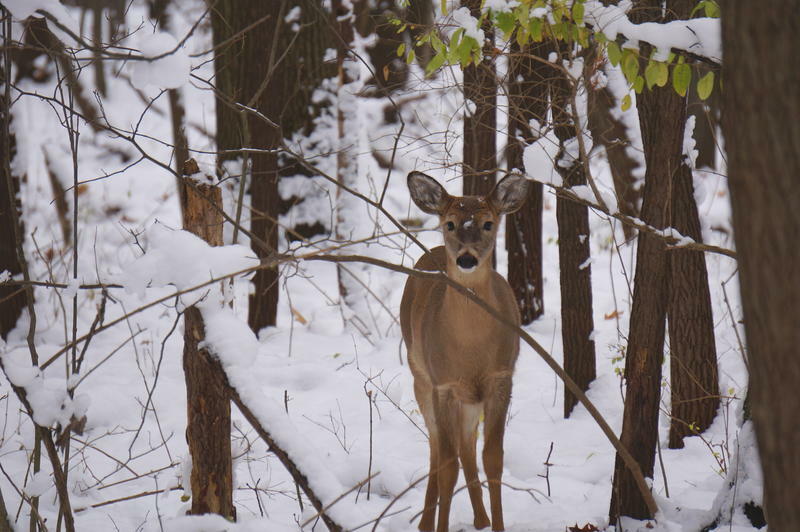 It's the last few weeks of bow and muzzle loading season in Michigan. It’s cloudy and cold when I arrive in my Uncle Steve’s driveway in Scio Township. We’re both bundled up in thermal layers and hunter orange. My uncle is 68 years old and hunts just about every weekend, starting with rifle season. Now, it’s bow and black powder season. Today he’ll using a compound bow. I won’t be using anything except my shotgun (microphone). We won't leave his house until about 7:30 a.m. today, but Uncle Steve gets going even earlier at the beginning of the season. Today it’s just the two of us, but Uncle Steve says for some people, hunting is a group activity. “At deer camp, they all meet, have their morning breakfast, coffee, whatever and then you get out in the woods before you can see your hand," he says. "Then all of a sudden, the sun comes up, and that’s what’s very inspiring." Uncle Steve has permission to hunt on 80 acres of land near his house. We grab his gear, snacks, and one other necessity – coffee – then climb onto a four-wheeler for a short ride. After the ride, Uncle Steve gets his bow ready. “It’s set up to shoot almost 300 feet per second. I’m cocking it. It’s in place. I have to hit the safety so it can be fired," he explains. He keeps a couple of tree stands and five blinds here during the season. As we walk the trail, we pass the carrots and corn on the ground that Uncle Steve scattered last night. He spots some coyote tracks. It looks like they’ve sampled some of his bait, but there’s no sign that any deer have been here. 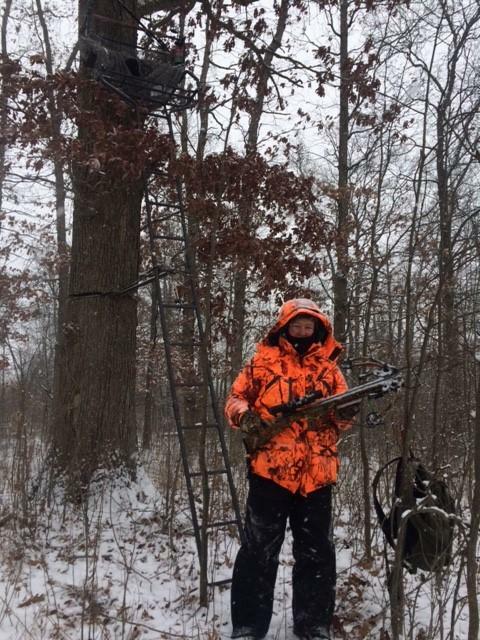 Stephen Sowers stands near his tree stand in Scio Township. After a short walk, we arrive at the tree stand. It’s about 15 feet up. That’s where Uncle Steve will be. My spot is in a blind about 50 feet away. “OK. We’ll sit there for at least an hour,” he says. “And you can text me if you want." I head into the deer blind, which is a little tent. Uncle Steve is up in a chair in the tree. Then it's time to be quiet. Uncle Steve got one deer earlier this year with his bow. He had it processed for burgers and chili meat, but today we’re not so lucky. We don’t even see one, so we head back. Uncle Steve started hunting with his dad and brother when he was 14. In 1968, he was drafted to serve in the Army in the Vietnam War. When he came home, he didn’t want to pick up a gun. He didn’t hunt again until just six years ago. Mornings are his favorite time to go out. What he likes best is the quiet. I get that. And I enjoyed the peace and quiet. But to me, hunting means you get up super early to sit in the cold to maybe see a deer. But Uncle Steve can still enjoy a few more mornings before the season ends – just without me. 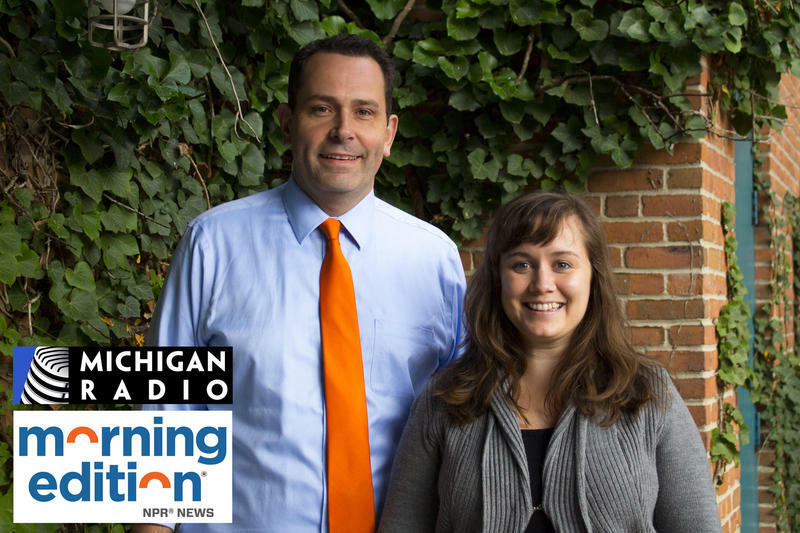 Lauren Talley is Michigan Radio's "Morning Edition" producer. We want to hear from you! 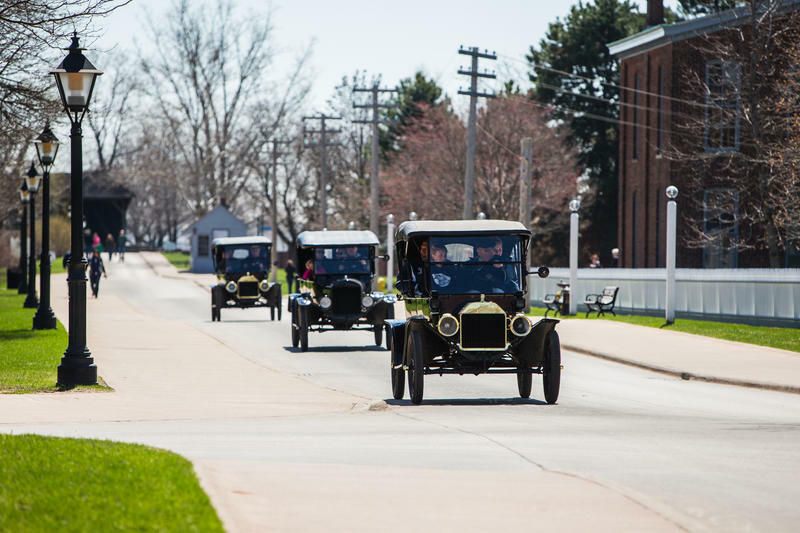 Share the sights and sounds of your Michigan mornings. Find out how at michiganradio.org/mornings.